July 24 2017 – Image Update: Thank you all the sponsors, subscribers and readers of my blog for your support and patience during the recent missing image debacle caused by Photobucket. I would like to apologise for any inconvenience caused. This article now has all images restored. 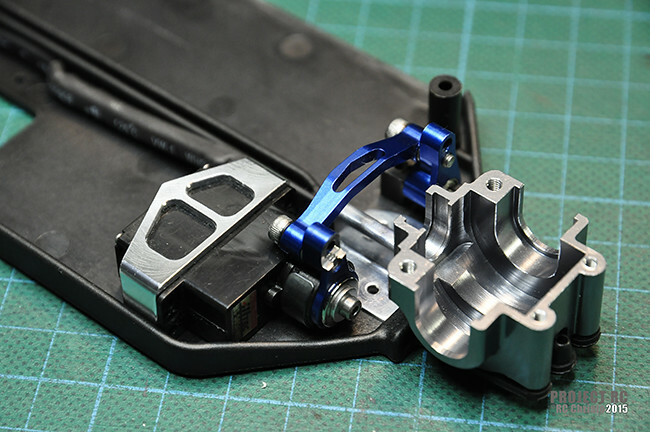 This ‘How To’ article will describe the particular steps and components I use to build a modified aluminium steering assembly for the Team Associated RC18T using aftermarket and stock components. Through trial and error I have sourced and tested the best performing components from various manufacturers to build this modified steering assembly which resolves the steering issues associated with the stock standard RC18T steering.